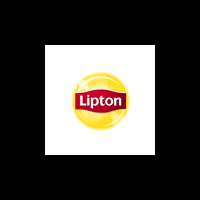 Ideal for restaurants, cafes, hotels, and high-end workplaces, Lipton Green Traditional Blend Hot Tea is a crisp, subtly aromatic tea with a delicate yet invigorating flavor. Made from carefully selected green tea leaves, this tea offers a delicious taste and soothing aroma your guests will appreciate. Sourced from 100 percent Rainforest Alliance Certified tea estates, this great tasting blend starts with freshly-picked high-quality tea leaves tested by tasting experts to ensure a perfect blend that will delight any tea enthusiast. The bags, tags, and carton are all recyclable and packaged in a zero-landfill facility, making this tea a responsible choice. Pour 175 ml boiling hot water over a tea bag. Brew 5 minutes, and serve. With the wide variety of flavors available, it's easy to find something for every type of mood. Unique packaging guides guests to order the tea they want, and the highly recognizable Lipton brand shows patrons a commitment to quality. No matter what guests are after, their perfect Lipton moment is waiting. Uncle Lees Tea Organic Legends of China Green Tea - 100 bags per pack -- 1 each. Prince Of Peace Organic Jasmine Green Tea - 100 bags per pack -- 1 each. Prince Of Peace Organic Green Tea - 20 bags per pack -- 6 packs per case. Green Foods Matcha Green Tea, 5.5 Ounce -- 1 each. Green Tea(Japan), 20 Ct -- 6 Per Case. Green Mango, 20 Ct -- 6 Per Case. Green Tea W/Mint, 20 Ct -- 6 Per Case. Bigelow Green Tea W/Peach, 20 Ct -- 6 Per Case. Green Tea W/Lemon, 20 Ct -- 6 Per Case. Green Const Comt, 20 Ct -- 6 Per Case.